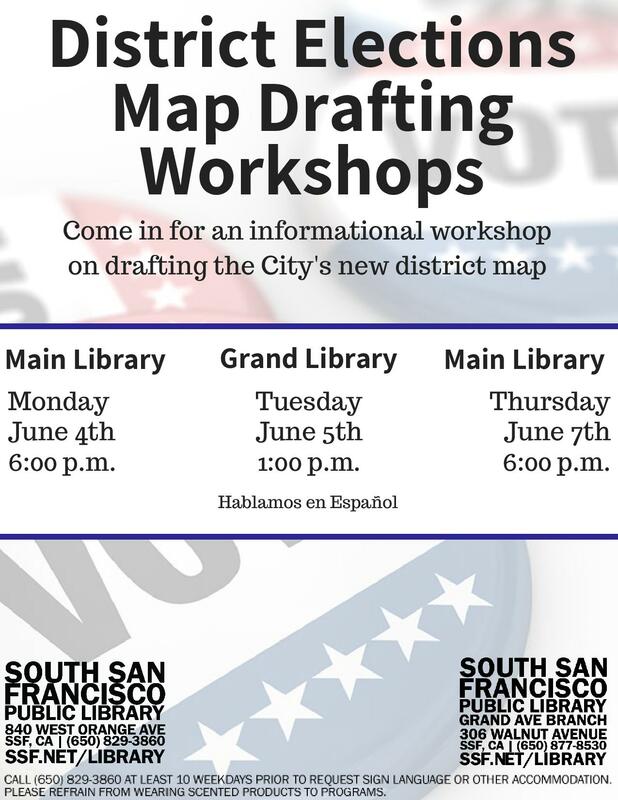 The City of South San Francisco will be hosting informational workshops drafting the new districts to be used for our District Elections in the coming years. Monday June 4th at 6pm, Tuesday June 5th at 1pm and again in Thursday June 7 at 6pm. Please help get this message out to other neighbors. More on District Elections CLICK HERE. Thank you so much Editor, much appreciated.